The Team: Time for a fateful monkey fist to the face. The character I built around was Obelisk the Tormentor, whose huge stats and crazy ability make him a scary customer to deal with. 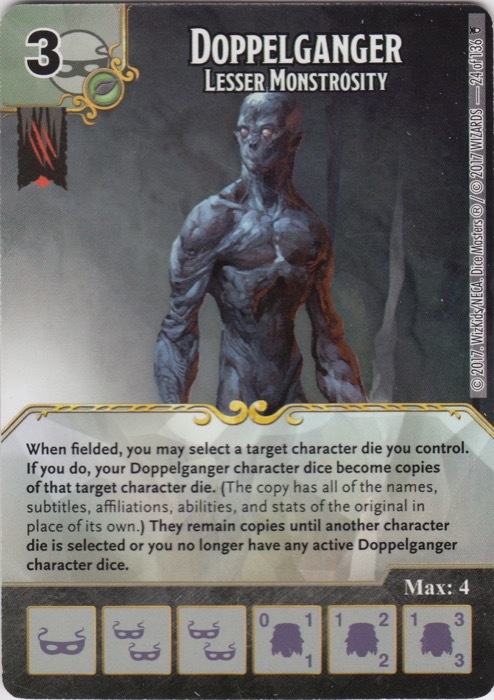 I particularly wanted to bring Doppelganger along to make more Obelisks and deal obscene amounts of damage. However, this wasn’t the strategy I used the most. This honor goes to the secondary strategy I added at the last minute; Hit-Monkey. I wanted a secondary strategy at 4 or less, just in case I would be unable to roll the energy for Obelisk. I’d never used this guy, and kept wanting to. Now’s the time. Now, both Obelisk and Hit-Monkey need to be blocked and benefit from being blocked. I thus put in Wasp for her global, and Cone of Cold to make those characters stronger when blocked. 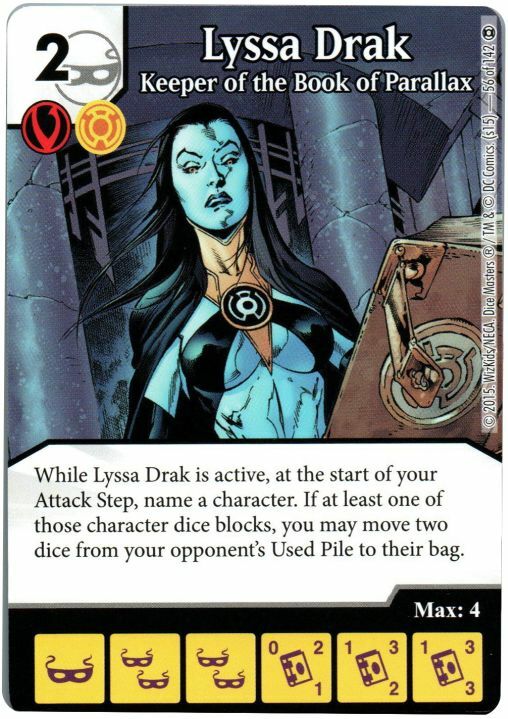 I also wanted to benefit from making my opponents block, so I put in my old friend Lyssa Drak, which is a punishing and oppressive card that can clog my opponent’s bag with sidekicks. This strategy requires me to have a lot of energy, though, so I need some ramp. Using the old PXG is a bad idea; it’s anti-synergistic with Lyssa (who cares about one’s bag when they use PXG right?). I thus went with Mimic, alongside the newer Professor X, as my ramp engine. As for the last two cards, Create Food and Water is there for churn and bag control (to set up a T3 Mimic without Resurrection), whereas the zombie Magneto is there as a creative way to deal with Shriek if she becomes an issue. I want to address one thing before discussing how this went: This team was made with weaknesses in mind. Distraction would make Obelisk a lot more reliable. However, I’ve been winning a lot, and wanted to tone it down and give my opponents a chance. Create Food and Water was not my first choice, as you can guess. With that said, on to the games! To start things off, I went up against Fixit, Immortals and swarming Monsters. Yeah, that’s an interesting hodgepodge of things that hurt. I had a hard time ramping, and so did she. Lyssa and force blocks got Swarm off the field and sidekicks in the bag. 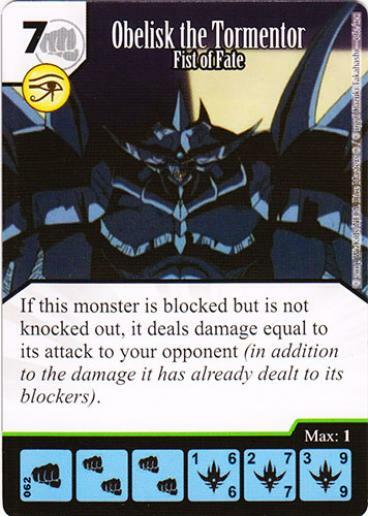 However, in doing this, I wasn’t getting the energy for Obelisk; when he finally showed up, my opponent had enough blockers to KO him and nullify his threat. I ended up very happy that Hit-Monkey was around; I swung in with reckless abandon using this monkey. He was my sole damage source and it ended up being fast enough to outpace Fixit (since I kept messing with my opponent’s ramp). I won. For this match, I went up against Hulk + Immortals. This match was the opposite of the previous one. Obelisk was purchased on T3 or T4. My opponent got Babs out, but Obelisk and Hit-Monkey hit too hard, too fast. He didn’t get enough bolts or characters at the right time to stop my attack. I won. My opponent for this game was a mix of Ultraman + Boom Boom and uncommon Two-Face. He went for Swarm as ramp (big mistake; Lyssa slowed his Swarm ramp substantially) alongside old-school PXG. Thanks to PXG, Obelisk hit the field, as did the monkey. Two-Face did hit me for 10 damage one time, but immediately after, Obelisk and Doppelganger (copying Obelisk) meant my opponent took 26 (!) damage in one attack. Ouch. For the final match of the night, I went up against an interesting Fixit team that was trying to use Thrown Brick both as a damage source for Fixit and for ramp. Fixit was going to hit pretty fast and due to his huge stats, he made Obelisk mostly irrelevant, so Hit-Monkey became my main source of damage. I did get Obelisk, but couldn’t really attack with him. Mimic was used for more than just ramp this time; I had him copying Obelisk’s stats so that I would constantly attack for 7A and force my opponent to waste some characters. It also made it more difficult for him to KO my Hit-Monkeys, and Obelisk was there as a constant threat. He was able to slow me down, but with Hit-Monkey wearing him down bit by bit, I eventually won. -Despite the team’s obvious and voluntarily-added weaknesses, it ended up being very effective; when one strategy would fail, another would pick up the slack. It worked out quite nicely. -Hit-Monkey is so underrated. Sure, he’s less good than Two-Face generally, but he deals a lot of damage for a 4-cost. Plus, the fact that his ability doesn’t damage his blocker makes him quite handy against Hulk. -Using Doppelganger on Obelisk is nasty. Obelisk was never designed so that you’d hit the opponent with several of them. When I would set that up, it would pretty be game over. -I was really reliant on rolling masks. There were turns where I bought Create Food and Water simply because there was nothing else I could do. Clayface (for the global, seeing as Billy Club’s already banned) would’ve really helped. -Lyssa Drak is still crazy oppressive, especially when PXG isn’t around. She hurts Swarm so much. Against the Two-Face player, I slowed him down to a point where it would take several turns to go through his bag; it took 3 turns from the bag refill before he’d draw Two-Face, which is a big reason why I won against him. Overall, this was a nice team. 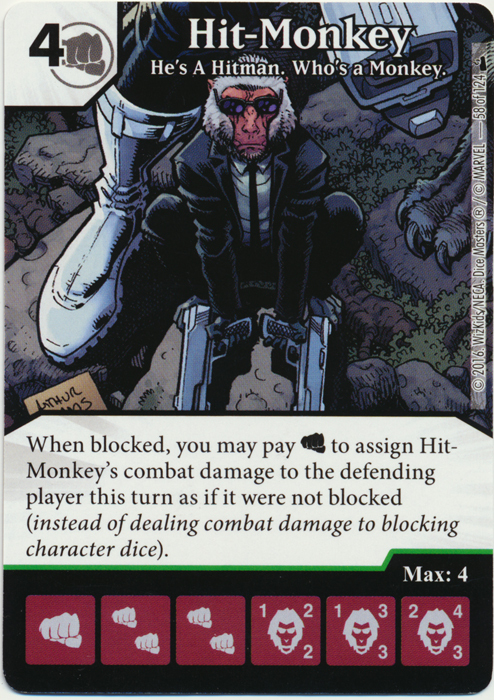 Force block characters like Obelisk and Hit-Monkey are always good fun. Not my most innovative team, but it worked.